Burn the world. Burn it all. 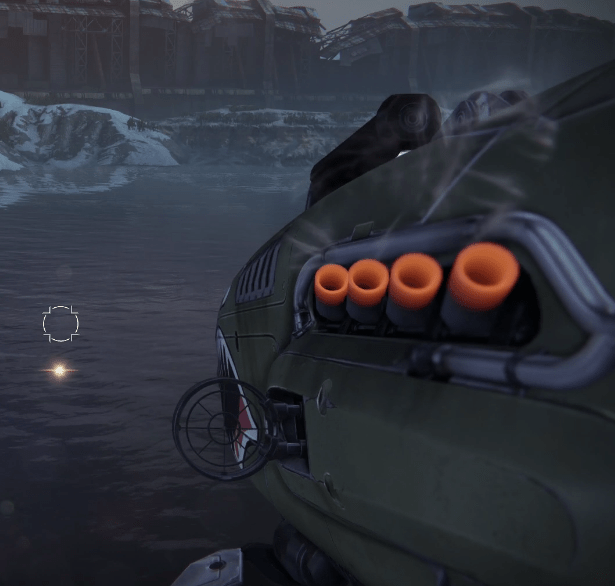 Dragon’s Breath is an Exotic heavy rocket launcher. This weapon can be acquired randomly as a reward in PvE or PvP, or sold by Xûr. The good: Strong overall, solar flare, great cosmetics. The bad: Low velocity, no tracking. Conclusion: Not as good as the other Exotic rocket launchers. Predictable and controllable recoil. Penalty to Velocity. This launcher’s tube can hold three shells. Rounds fired from this weapon leave a Solar Flare upon detonation. More predictable recoil. Slight boosts to Velocity and Blast Radius. More recoil. 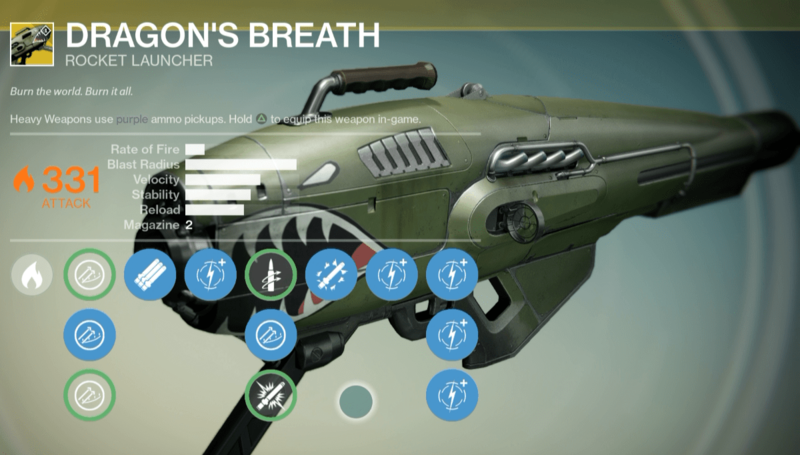 Dragon’s Breath is an Exotic heavy rocket launcher received as a random PvE/PvP reward or sold by Xûr. Is it better than the other Exotic rocket launchers? This review will give some insight into how it preforms in comparison to those. The first topic of discussion for Dragon’s Breath is its lack of tracking. 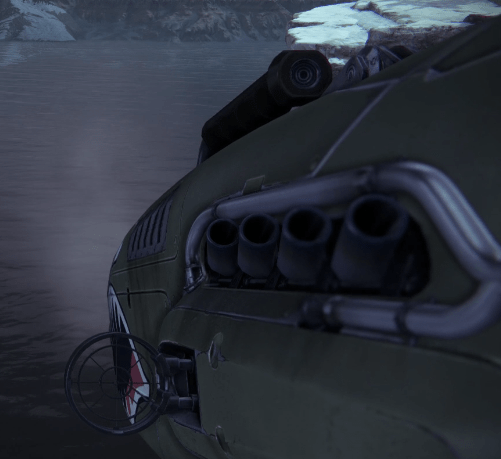 This rocket launcher does not have any sort of tracking ability like Truth or Gjallarhorn. More times than not, when using a rocket launcher that can track targets, you can fire a rocket and not have to worry about if it’s going to miss or not. Dragon’s Breath unfortunately does not have this ability, though it makes up for it by leaving the solar flare. With Dragon’s Breath you’ll be able to choose exactly where you want your rocket/flare to go, but this means that you might end up missing moving targets. With the other Exotic rocket launchers that have tracking, you’re able to reliably hit targets that are far away or moving, in addition to being able to dumb-fire. While this isn’t a “good” or “bad” thing, many people will prefer the ease of tracking rocket launchers, just keep in mind that you’ve got the Pyromancer perk to make up for it. The blast radius on Dragon’s Breath is huge; tied with Truth with the highest blast radius among rocket launchers. Its rate of fire is also the highest out of the Exotic rocket launchers. Dragon’s Breath unique perk, Pyromancer, will leave a solar grenade effect in its wake for about 5 seconds. This allows you to choose where to leave an AoE denial in. Landing it on a stationary target can yield some impressive numbers, especially if you can get multiple rockets off. The solar flare can be equally useful in PvP/PvE if used properly. In PvE most enemies know to move out of damage, so it’ll be best used to block off an area of preventing enemies from spawning in an area. In PvP you can use it effectively in Control matches to block off entrances. The low velocity forces you to ignore the other perks so that you can increase it, though admittedly the perks aren’t that great as it is. Being able to dumb-fire rockets is almost a con because of the low velocity, as you lose the benefit of guaranteeing the blast will actually hit the target. It’s also got the third-lowest reload speed for rocket launchers. Fortunately it does have the third-highest stability, but this isn’t such a great thing, because who needs stability on a rocket launcher? Dragon’s Breath has a distinct and powerful look and feel. There’s steam coming out of the front and when you fire a rocket, the tubes on the side will glow red with heat and let off some more smoke. For the Halo veterans, you’ll notice it looks similar to the Flamethrower. 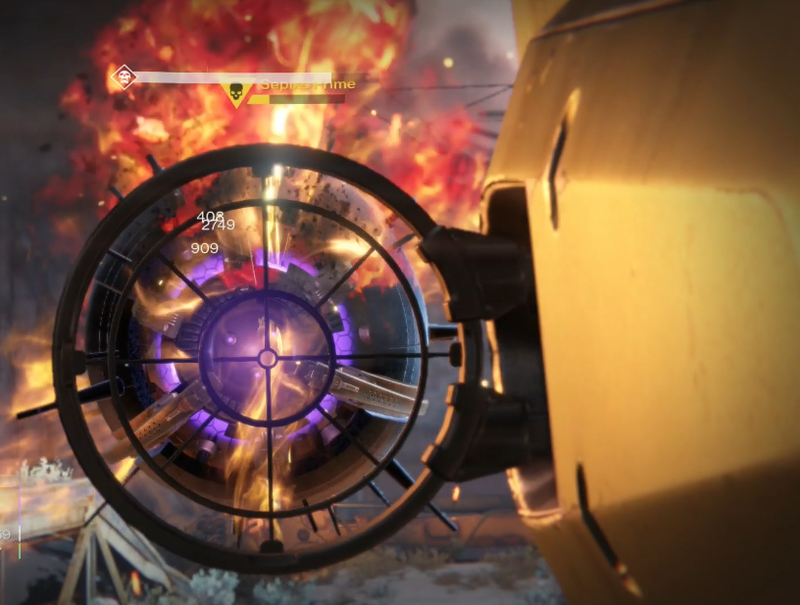 Feizel Crux and Victor Lomar, the creators of the other Exotic rocket launchers, crafted Dragon’s Breath as well. From the labs of Feizel Crux and Victor Lomar comes another shoulder assault offering built to match the incendiary fury of a legendary beast — or at least classic depictions of it. The sights are very simplistic, but fit the overall theme of the WWII shark teeth on the side. It feels like the sights were just ripped off a B2 bomber, similar to those on the PS exclusive weapon 4th Horseman. The sound is surprisingly subtle on this weapon. You would expect it to roar with thunderous fury every time you let a rocket fly, but it actually has a very low growl underneath the normal rocket sound. Dragon’s Breath really feels like a middle ground between the Exotic rocket launchers, and honestly isn’t better overall than either of them. This weapon has a lot going for it, but its cons overshadow the pros. It takes some things from the other launchers like 3 in the tube and an effect after the initial explosion, but it lacks tracking which is invaluable for fighting tougher enemies. Dragon’s Breath isn’t a bad weapon by any stretch of the imagination, and for some people in some situations, it may even preform better than the other Exotic launchers. Dragon’s Breath is worth upgrading, and it’s very fun to use, but when it comes time to kill some Wizards or anything but trash-mobs, Gjallarhorn is probably a better choice.